Barbecue meatballs with bacon gravy, leftover roast vegetable harissa soup, spicy, cheesy mince tacos and more! After a hectic week of stormy weather we could not be more glad that the weekend is finally here. And we're even more ecstatic that the weekend feast is here. This weekend we're going crazy with lots of soul-soothing comfort food - just what the dropping temperatures ordered! 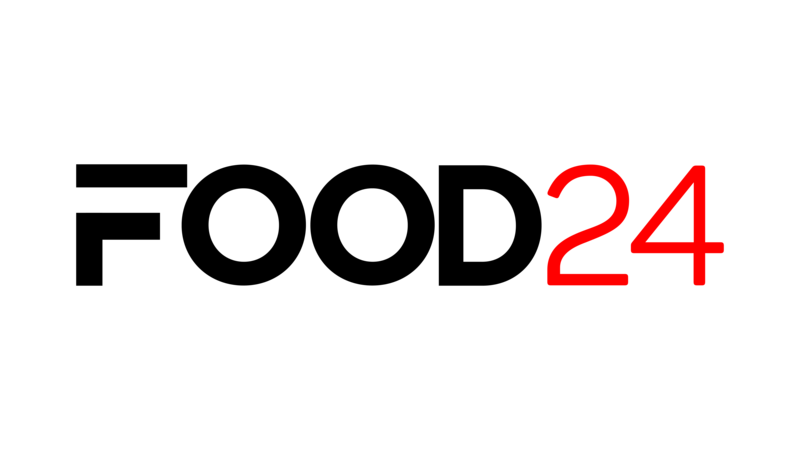 If you know you won't have time (or the desire!) 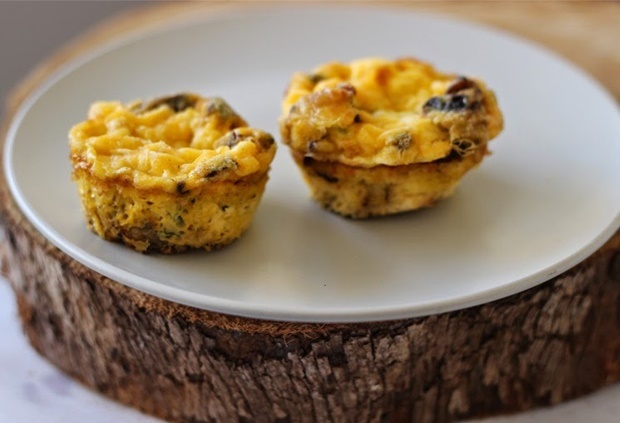 to slave over the stove whipping up a breakfast feast, make these easy breakfast egg muffins the night before. 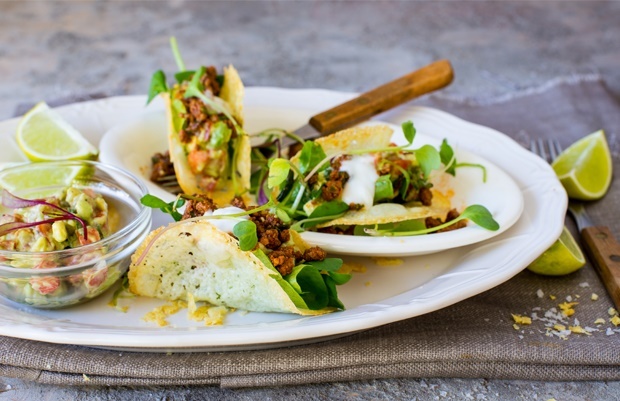 It's essential to indulge in some drool-worthy homemade street food over the weekend and that's where these gorgeous LCHF Cheese tacos come in. Their spicy mince filling will warm you instantly! 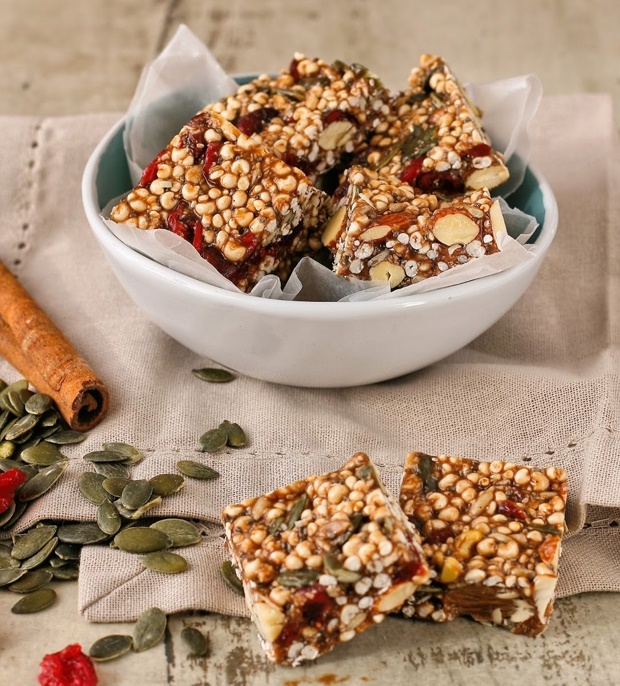 Do your bit to lessen our country's food waste and kill two birds with one stone! 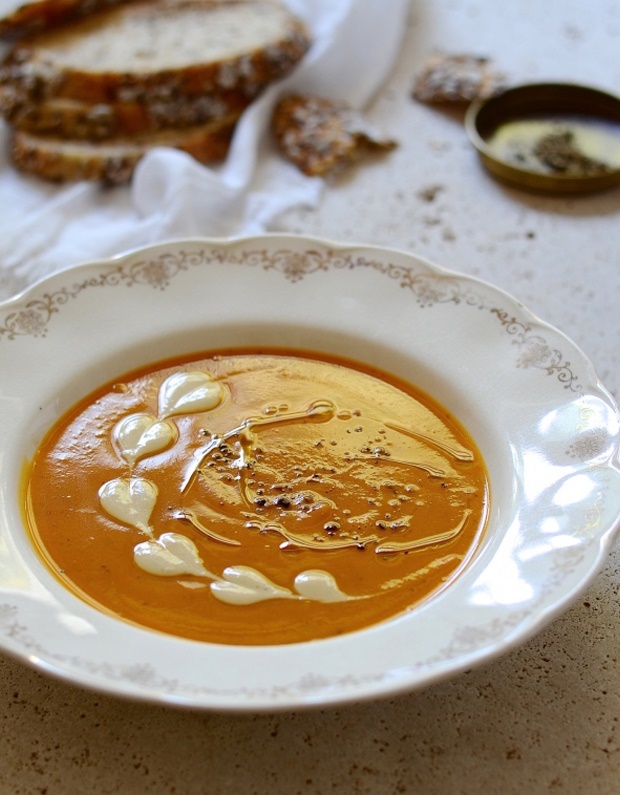 Save your Sunday feast leftovers and transform it into this leftover roast vegetable harissa soup. The result will have you sorted with another meal and you will then have done your part in beginning to address our food waste problem. Warm puddings are probably one of the best things about this time of the year. 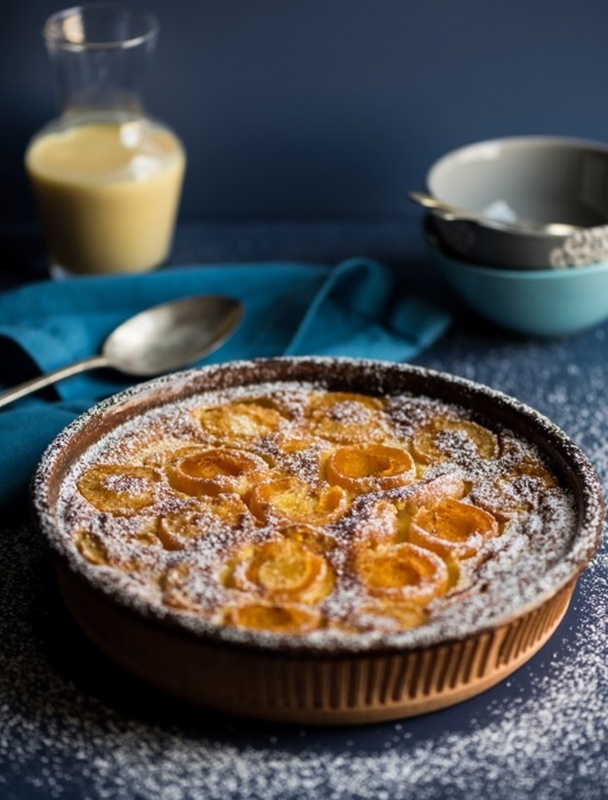 Serve this apricot clafoutis with some warm custard and you're sorted! 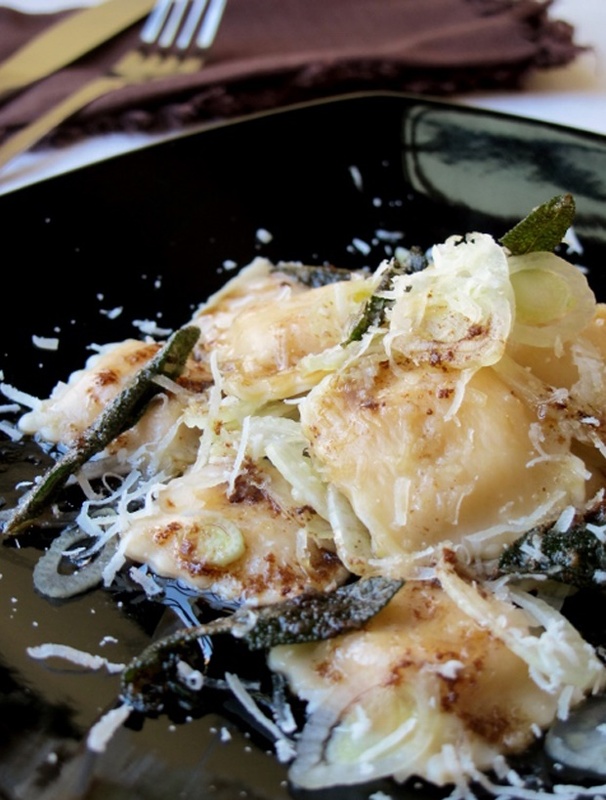 In the vegetarian comfort food department, we've got pumpkin ravioli with shaved fennel and burnt sage butter. 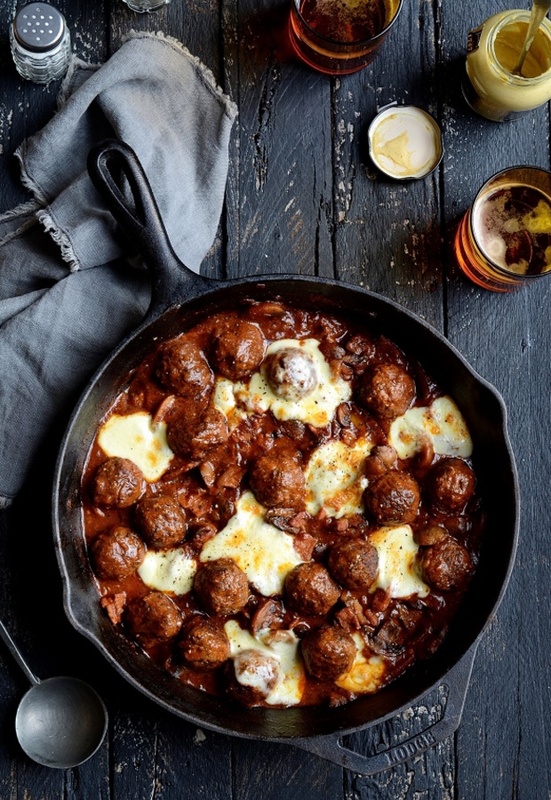 In the meaty comfort food department we've got these amazing barbecue meatballs with bacon gravy (Yes! bacon gravy). To see last week's menu click HERE.